Here at The A.V. Club, we’ve liked both of the prior novels in Lev Grossman’s Magicians trilogy, so you could say we’ve been anxiously awaiting its conclusion. Now, not only can we officially announce the publication date of that final book, The Magician’s Land, as August 5, 2014, we can also provide you with this exclusive first look at the book’s cover. It appears it will feature snow! And trees! And other things! Publisher Viking has provided the following synopsis as well. Thrill to the vagaries of enticing promotional copy! 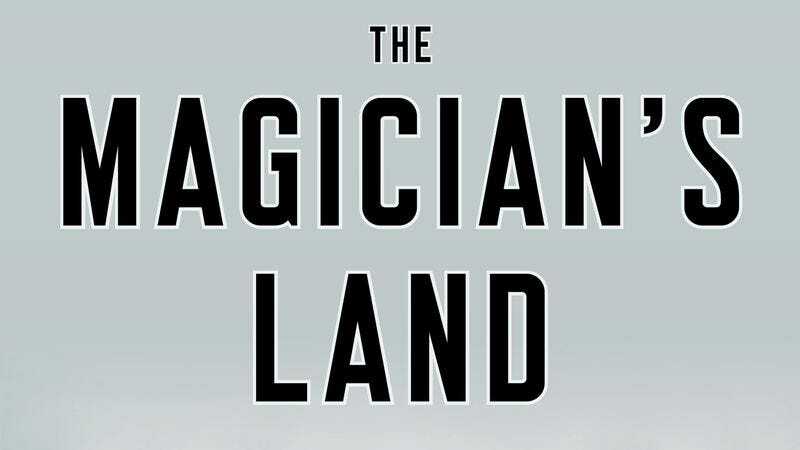 The Magician’s Land is an intricate thriller, a fantastical epic, and an epic of love and redemp­tion that brings the Magicians trilogy to a magnifi­cent conclusion, confirming it as one of the great achievements in modern fantasy. It’s the story of a boy becoming a man, an apprentice becoming a master, and a broken land finally becoming whole.